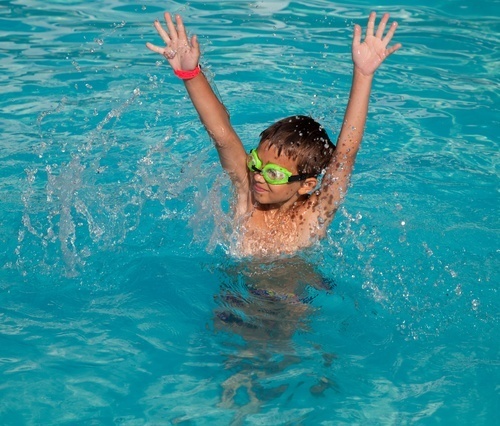 Here at the DuPage Swimming Center, we often work with parents who have concerns about their child’s ability to stay safe in various water situations. At the DuPage Swimming Center, we are avid water safety advocates and understand that our parents have legitimate worries about their little ones. While water sports and swimming can be fun, we recognize that these activities can prove stressful for parents when their children don’t have the confidence and skills needed to stay safe at all times. Unfortunately, many parents assume that they have to wait until their child is older before beginning their water safety education; however, this simply isn’t the case. At the DuPage Swimming Center, we proudly offer parent/tot swimming lessons in Aurora. Our parent/tot classes are an excellent option for children starting at just six months of age, all the way up until about 36 months. We find that offering parent/tot swimming lessons in Aurora delivers an extensive range of benefits for water safety and fun. You and your child will spend time in the pool together on a weekly basis with a trained and certified instructor. You will also have the benefit of learning about water safety in our state-of-the-art facility, which has been designed using the very latest pool innovations for an ideal instructional experience. Beyond helping your little one build her/his water safety skills, our swimming lessons in Aurora can also help your child strengthen social skills, coordination, motor skills and confidence as he masters various techniques throughout his time with us. We pride ourselves on helping all parents work closely with their children to not only enjoy a stress-free time in the pool, but also ensure that every little swimmer is able to go at her own individual learning pace for optimal enjoyment. When preparing for our parent/tot swimming lessons in Aurora, it’s important to consider a few important items for success. First and foremost, having the right gear can help make the entire experience a positive one. All too often, parents assume that their child’s current swimsuits will still fit, only to realize (too late) that they’ve outgrown them. We highly recommend checking to make sure your child’s bathing suits still fit before your first session (especially during the off months). Additionally, younger children who aren’t potty trained will need some additional gear as well. Beyond his or her swimsuit, we require our littlest swimmers to also wear a swim diaper and tight-fitting rubber pants. Also, once swim time comes to an end, you’ll also want to have dry clothing to change into for both you and your little one. Are you ready to have fun with your little one as she learns how to be safe in the water? Sign up for our parent/tot swimming lessons in Aurora today!